WASHINGTON, D.C. – March 30, 2016 – (RealEstateRama) — The U.S. Environmental Protection Agency (EPA) has recognized the Building Owners and Managers Association (BOMA) International with a 2016 ENERGY STAR® Partner of the Year Sustained Excellence Award for its continued leadership in protecting the environment through superior energy efficiency achievements. BOMA International has received a total of nine ENERGY STAR awards and remains the only commercial real estate association to have received this honor. The 2016 Partner of the Year Sustained Excellence Awards are given to a select group of organizations that have exhibited outstanding leadership year after year. Winners are recognized for their contributions to reducing greenhouse gas emissions through superior energy efficiency achievements, including setting and achieving aggressive goals and employing innovative energy efficiency approaches. These awards recognize ongoing leadership across the ENERGY STAR program, including energy-efficient products, services, new homes and buildings in the commercial, industrial and public sectors. The accomplishments of BOMA International and its fellow winners will be recognized at an awards ceremony in Washington, D.C., on April 13, 2016. BOMA’s Energy Efficiency Program (BEEP®) v2.0, which was launched at BOMA’s annual conference in June of 2015. First introduced in 2007, BEEP quickly became the industry standard for energy management training, reaching tens of thousands of industry professionals. Last year, BEEP was redeveloped, refined and updated to reflect the latest industry trends, new technologies and best practices to help the commercial real estate industry reduce energy consumption and improve the energy performance of commercial real estate assets. The BOMA Energy Performance Contracting (BEPC) model—first released in 2008—also was updated in 2015 to reflect new and emerging industry best practices. BEPC provides a conceptual framework and supporting template documents to help private business owners and operators develop and execute investment-grade, energy efficiency retrofits to enhance asset value. Since 2008, the BEPC toolkit has been used to facilitate projects in more than 20 cities across five continents. Building re-tuning training, developed in conjunction with the U.S. Department of Energy (DOE) and the Consortium for Building Energy Innovation and BOMA local associations, teaches property professionals how to correct operational problems that lead to energy waste in properties through no- and low-cost solutions. Annual conference offerings, including the “High Performance Buildings” education track and the Green Pavilion, which highlights solutions and products to help property professionals stay ahead of the energy management curve. Various publications, including Commercial Lease: Guide to Sustainable and Energy Efficient Leasing for High-Performance Buildings, the industry’s first green lease guide now in its second edition, and Working Together for Sustainability: The RMI-BOMA Guide for Landlords and Tenants, a free eBook created in collaboration with the Rocky Mountain Institute that provides a framework for tenants and owners to share the benefits of energy efficiency savings. The BOMA 360 Performance Program® and The Outstanding Building of the Year® (TOBY) competition, both of which require applicants to complete benchmarking through the ENERGY STAR Portfolio Manager. BOMA 360 rates buildings across several areas of operations and management, including categories in Energy and Environmental/Sustainability. The TOBY Awards are the commercial real estate industry’s highest honor recognizing quality in buildings and excellence in all facets of building management, including energy management and green policies and procedures. Several public-private partnerships to increase energy efficiency for various building systems. In conjunction with the DOE and the Better Buildings Alliance, BOMA helped launch the Advanced Rooftop Unit Campaign (ARC), theLighting Energy Efficiency in Parking (LEEP) Campaign and the Interior Lighting Campaign (ILC). These programs help property professionals access technical support to implement energy efficiency retrofits. The 7-Point Challenge, which called on BOMA members to reduce energy consumption by 30 percent across real estate portfolios as gauged against an average building measuring a 50 on the ENERGY STAR Portfolio Manager benchmarking tool over a five-year period. Since the program’s successful conclusion in 2012, BOMA analysis has shown that participating buildings saw an average decrease of 26.7 kBtu/square foot in adjusted energy use and an average decrease of 113.35 kGal in total water use. The launch of the BOMA STARS initiative in 2011 to promote the importance of benchmarking energy consumption in commercial buildings through EPA’s Portfolio Manager by sharing that data with BOMA’s Master Account. This effort highlighted the effectiveness of the voluntary marketplace in reducing energy consumption without costly new mandates. Since its launch, more than 3,000 buildings have benchmarked and shared their data with BOMA International. Ongoing cumulative accomplishments in the areas of advocacy, education, research and other industry initiatives. BOMA International previously was honored as ENERGY STAR Partner of the Year in 2007 and 2008, and received the Sustained Excellence Award in 2009, 2010, 2012, 2013, 2014 and 2015. For more information about ENERGY STAR’s awards program and a complete list of 2016 winners, visit www.energystar.gov. The Building Owners and Managers Association (BOMA) International is a federation of 91 BOMA U.S. associations and 18 international affiliates. Founded in 1907, BOMA represents the owners and managers of all commercial property types including 10.4 billion square feet of U.S. office space that supports 1.8 million jobs and contributes $227.6 billion to the U.S. GDP. Its mission is to advance a vibrant commercial real estate industry through advocacy, influence and knowledge. 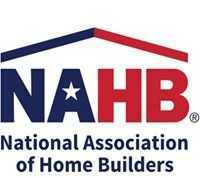 Learn more at www.boma.org?. ENERGY STAR® is the simple choice for energy efficiency achievements. For more than 20 years, people across America have looked to EPA’s ENERGY STAR program for guidance on how to save energy, save money and protect the environment. Behind each blue label is a product, building or home that is independently certified to use less energy and cause fewer of the emissions that contribute to climate change. Today, ENERGY STAR is the most widely recognized symbol for energy efficiency in the world, helping families and businesses save $300 billion on utility bills, while reducing greenhouse gas emissions by two billion metric tons since 1992. Join the millions who are already making a difference at energystar.gov.